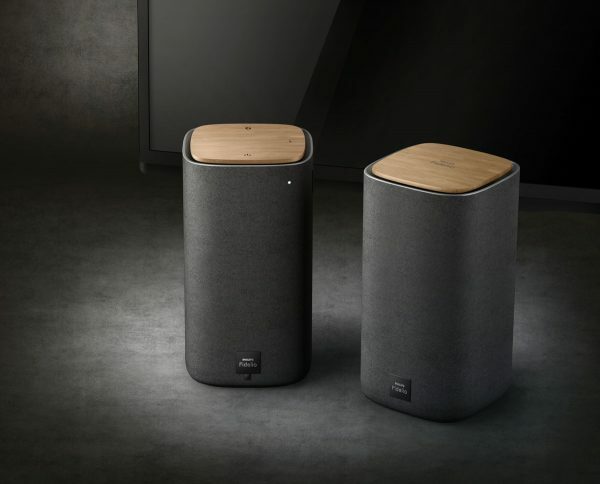 Philips have announced the Fidelio E2, a compact sleek and beautifully designed hi-fi wireless speaker system to give a boost to the sound from your TV, PC, mobile devices, or game consoles. It features two charcoal grey cloth and real wood pillars, which means they go with any decor. The speakers feature Bluetooth connectivity, and with built in NFC, it allows one-tap pairing of devices. It, of course, offers a wired setup with a television or games console using HDMI ARC connection, or via optical and co-axial connections. There is also a 3.5mm stereo input too. The speakers feature a two way bass reflex speaker, with a premium 1″ silk ribbon tweeter. This produces a smooth and warm sound experience, with a wide dispersion. Also included is a 4″ woofer, to give a powerful, deep and detailed bass. Rated at a 100 Watts of power, there is enough performance to give anything a large scale. And then there is the little matter of Dolby Digital. Last but not the least, it also features a beautiful and innovative design, making it a perfect addition to any living room. The E2 will be on sale in March, and will come with a RRP of £300.